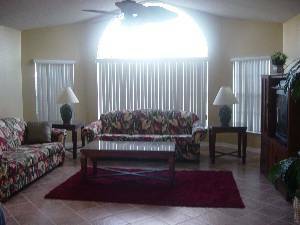 ~Located minutes from all the main Attractions of Central Florida! This villa, located only six miles from Disneyworld, has every feature you would expect in a resort vacation spot! Excellent Location! A quiet community, beautiful grounds, with convenient access to Highway 192 a mile up the road. There you have immediate access to a long strip of tourism-- shopping, attractions, and restaurants galore. ** Incredible Value! 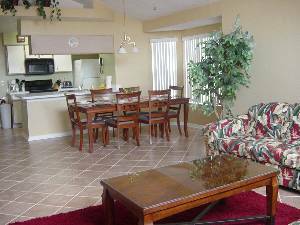 Our villa is a second floor unit allowing for vaulted ceilings and spacious living (over 1200 sq. feet). 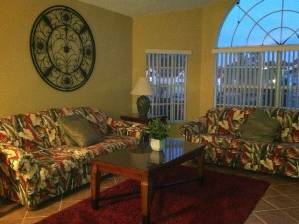 Relax and enjoy your vacation in Royal Palm Bay ,your home away from Home. Don't pay for an expensive impersonal hotel room. Enjoy all the conveniences and comforts of home. Plus plenty of comforts you won't find at home. Enjoy the sunrise over the tree lined view from you balcony adjacent to the master bedroom while having your coffee and reading your paper. If your to tired to venture back out after your meal there are plenty of activities at our guest house to keep you busy. Its just steps from your front door. Enjoy playing pool, playing video games , try out our state of the art exercise room, play tennis, splash around in our warm water crystal blue pool, Take a nature walk around the pond and exquisite fountains or my favorite a soak in the hot tub. You'll sleep like a baby on our fresh clean linens and comfortable mattress. The master bedroom has a king size bed just in case one of the little ones want to sneak in bed with mom and dad to snuggle. The second bedroom has a queen size bed and the third bedroom which I call the kids room has two twin size beds. The sofa also pulls out into a queens size bed to allow for a variety of sleeping arrangements. Maximum occupancy is 8. ASK ABOUT MOS DISCOUNTS FOR FIREFIGHTERS,POLICE AND MILITARY. Check out the features and contact us for your booking. You will love your vacation here, without disappointment and worth every penny! High Chair, Pack & Play Crib, Children's Playground, Sand Volleyball, Exercise Room, Video Game Rental, Billiard Table, Snack Shop, Gift Shop, Staffed Clubhouse, Movie Rental, and Internet Access. Our unit is an end unit on the second floor. 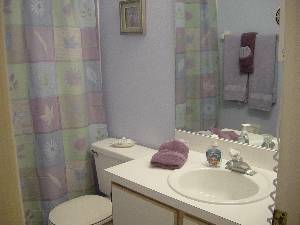 Therefore, it has vaulted ceilings, is quiet, and has extra windows to let in the Florida sun. The living room has two full size sofas. One is a queen size sofa sleeper for the 7th and 8th guest. There is also a sleeper sofa in the living room if you need to sleep more than six people. 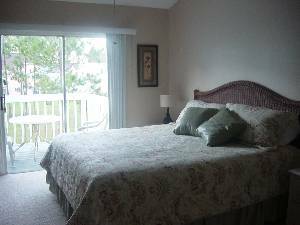 The bedroom features king bed, own deck, own bathroom, and awesome view! This bathroom has a full tub, while the master bedroom's bathroom has an oversized shower. This Condo was so nice and made me and my family feel right at home!!!! Thank you so much for a great stay clean, nice, and well furnished!!!! I will definitely use this condo again!!!! Thank you Christine for a great place to stay! We had a great vacation and the accomidations were amazing. The condo was beautiful, very clean and plenty of room for the little one to run around. Appreciated the fact that the condo was toddler friendly. The amenities at were great. Enjoyed the pool and playground which were both very clean and well kept. The condo was very close to all the attractions. We will definetly be coming back! We had a great time at Mary Anns condo and are definately looking forward to going again. My favorite part was sitting on the balcony in the morning and reading my book. My family and i enjoyed eating at the nearby restaurants and going to islands of adventures. We even drove an hour which flew by to visit the manatees. Most of the time we were able to enjoy the pool to ourselves. Also the unit was very spacious and roomy which is great if you have kids or want to spread out. I had an amazing time staying at your condo. It was beautiful and relaxing. Everything was clean and in good condition. Also the drive to the near by theme parks was a breeze. I am looking forward to staying there again real soon! Connie's condo is wonderful! You won't be disappointed. Extremely clean and well kept. Close to everything - 10 minute drive to parks. 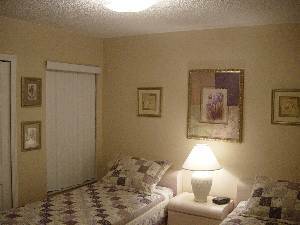 Royal Palm Bay is quiet and clean. raveled May '07, had the pool almost to ourselves (6 of us). 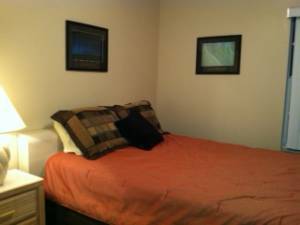 Beds very comfortable and well appointed, just can't get over how clean unit is maintained. Connie was the best, responded very promptly to our questions. Renter's packet arrive very timey and Paypal very easy to use for payment. 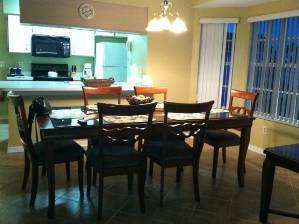 "We'll definitely recommend your condo to friends and family looking for a place to stay while in the Orlando area. We'd also staay here if/when we return to the area. We appreciated your prompt replies to all of our questions. Thanks for the helpful driving directions to the condo and area attractions." "I just wanted to say thank you for allowing myself and my family the use of your condo during our stay in Florida! It was inviting, comfy, as well as SPOTLESS. I can't wait for another visit-- maybe around the holidays!!" ~Michelle S.
Deposit: $200. Deposit due upon reservation. Final payments due 30 days before check-in if using check or money orders; and cash via western union. Cancellations and Refunds: No refund of deposit if cancellation occurs within 35 days prior to check-in.